For starters, we suggest that you read the FSU primer on NTT contract language (there have been many changes to the contract language regarding NTT so even if you have read it before, we suggest reading it again as it has been updated to include language from the 17-20 contract). We also recommend that you read the relevant articles in the collective bargaining agreement, particularly Article 21-NTT and MOU 7. 1. Senior Lecturer and Senior Lecturer II promotions: All Lecturers with 6 years of full-time equivalent service will be eligible for promotion to Senior Lecturer (NOTE: ‘full-time equivalent service’ means you must be full-time for 6 calendar years to be eligible; if you are half-time, for example, it will take 12 calendar years). All Senior Lecturers with 6 years of full-time equivalent service as a Senior Lecturer will be eligible for promotion to Senior Lecturer II. Those Lecturer II’s who were converted to Senior Lecturer when the 14-17 contract was implemented (Spring 15) will be eligible to apply for Senior Lecturer II after 10 calendar years from their hire date regardless of their current or past full-time equivalent. Lecturers must notify their department if they believe they are eligible to apply (see the criteria for eligibility in Article 21.12 of the contract and in the primer). YOU WILL NOT BE NOTIFIED BY THE ADMINISTRATION OR YOUR DEPARTMENT OF YOUR ELIGIBILITY, SO IF YOU THINK YOU ARE ELIGIBLE, WE ENCOURAGE YOU TO INFORM YOUR CHAIR OF YOUR INTENT TO APPLY FOR PROMOTION. YOU MUST NOTIFY YOUR DEPARTMENT BY MAY 15,TH 2019 OF YOUR INTENTION TO APPLY DURING 19-20. ALSO, THOSE NTT WHO HAD SIGNALED INTENT TO APPLY FOR PROMOTION IN MAY 2018 AND HAVE BEEN DEEMED ELIGIBLE TO APPLY DURING 18-19 WILL HAVE TO COMPLETE THEIR APPLICATION BY THE FIRST DAY OF THE SPRING 19 SEMESTER, ON MONDAY, JANUARY 28TH. 2. Possible Reduction in Course Load for Senior Lecturer II’s and Clinical Senior Lecturer II’s- The Dean may grant temporary course load reduction of 1 course per academic year to full-time Senior Lecturer II’s and Clinical Senior Lecturer II’s in consideration of a significant increase in service and/or scholarly responsibilities. Such a reduction would be at the Dean’s discretion and would be for a period of 2 years with the possibility of renewal. Those who wish to be considered for such an appointment should contact their department chairs as the latter are responsible for recommending these appointments to the Dean (see Article 21.2.7 for more information). 3. Continuing Appointments- All Lecturers who are minimum 50% time, who have 3 full-time equivalent years of service, and who have had no more than 2 prior semesters at less than 50% will be eligible for continuing appointments (no formal application is required; continuing appointments are approved by the Dean; see Article 21.9.2 for more details- note that Associate Lecturers are not eligible for continuing appointments). NTT with continuing appointments are granted just cause rights and are subject to the layoff provisions of the contract (21.9.4), meaning they must be given a year notice in the event of a layoff (inclusive of reductions in time). 4. Conversion from Associate Lecturer to Lecturer- All Associate Lecturers who have been 50% or more for 4 consecutive semesters will be automatically converted to Lecturer, will be subject to the Lecturer salary floor, and will be subject to all other provisions of the contract for Lecturers (i.e. future eligibility for promotion to Senior Lecturer). 5. Benefits- All NTT regardless of title who are 50% or more are automatically eligible for benefits (dental, health, retirement). Contact Human Resources for more information. 6. Appointment and Reappointment Schedules- Lecturers who are 50% or greater are subject to the appointment and non-reappointment language in Article 21.9 of the contract. For Lecturers 50% or greater on semester by semester contracts that means they must be notified by the end of the Fall 18 semester if they are going to be reappointed (for those on 1, 2, or 4 years contracts the deadline for notification is earlier- see the chart in 21.9.1 for more details). NTT with continuing appointments are employed without an end date so they will not be given individual contracts. Associate Lecturers are not subject to the appointment/non-reappointment provision of the contract. 7. Additional Work for Part-Time NTT- Part-time members of a department must be offered additional work in writing in order of seniority before the work is given to anyone outside of the department (see Article 21.3 for more information). Please note that additional work is defined as work that is generated after all of the work for those bargaining unit members already employed in the department has been assigned. An example: department X has 10 NTT who have been assigned a total of 20 courses for Spring 19. A last minute increase in student enrollments results in 2 additional sections being added for Spring 19. Those 2 additional sections must be offered to current part-time NTT in order of seniority before they can be given to anyone outside of the department. It is important to remember that the additional work clause is not a bumping clause- it does not allow part-time members of a department to get additional work via reduction in work from other members of the department, even if the former has more seniority than the latter. 8. Basic Service for NTT Who Are 50% or More- Lecturers, Senior Lecturers, and Senior Lecturer II’s (as well as their Clinical Lecturer counterparts) may have, as part of their standard workload, basic service requirements such as attendance at Welcome Days, assigned advisees, etc. Such service assignments are to be made in consultation with the faculty member. 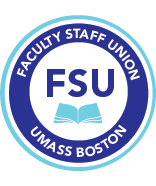 If you have concerns about the nature of the basic service assignments you are given or feel that the assignments are excessive please contact the FSU (see Article 21.2.1 for more information; also, see this previous FSU bargaining update for a further explanation of the basic service requirement agreement). If you have any questions on the above or believe that these provisions of the contract have not been properly applied to you or your colleagues please contact the FSU office.